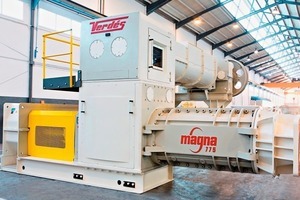 Talleres Felipe Verdés has launched its new Magna series of vacuum extruders. 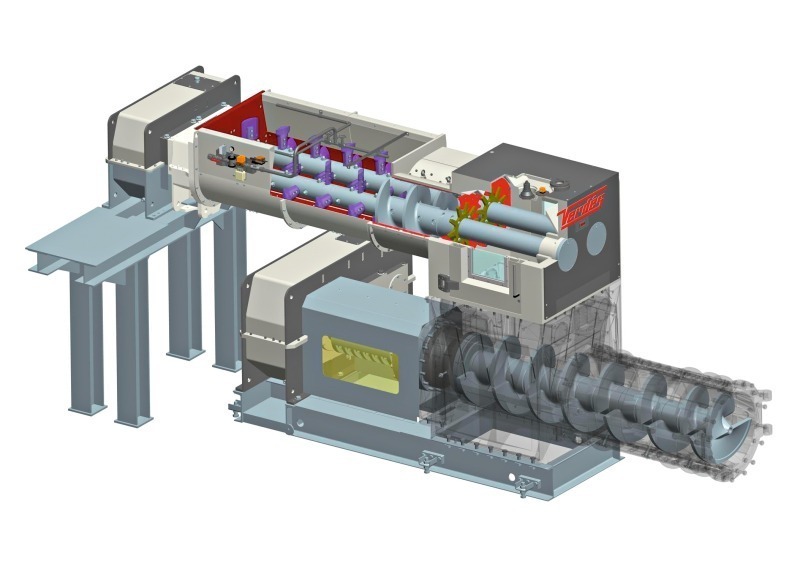 This is a natural evolution from the Combi line, which will be gradually replaced by this new family of extruders. 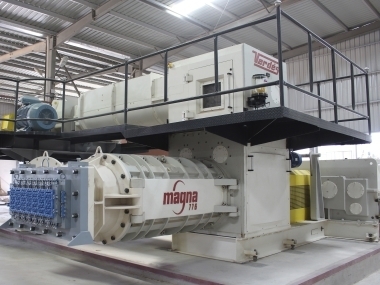 The first Magna extruder was built in late 2012. Major innovations to the Magna series include improved accessibility for maintenance tasks, significantly increased vacuum chamber volume and a new modular mixing body configuration for better adaption to every customer’s needs. 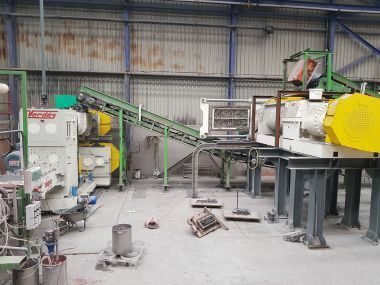 The innovative design concept of Verdés provides the customer with lower operating costs, and therefore, more efficient shaping. The modular mixing zone features the well-known Verdés adjustable pitch knife system, ensuring perfect adaptability to various clay mixtures. The mixing knives have been given a completely new geometry to improve efficiency and reduce wear rates. 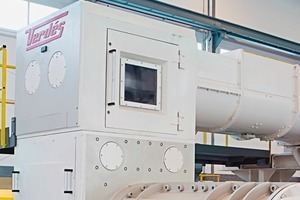 The easily replaceable shaft and trough liners, in turn, give the machines improved functionality. 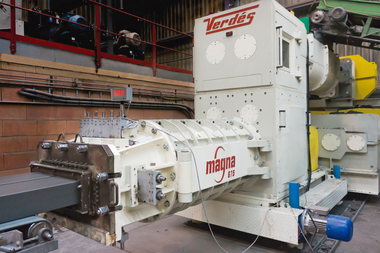 The Magna series still remains faithful to the core concepts that identify the Verdés brand; such as tandem reducers with parallel shafts, case-hardened and ground helical gears to ensure a secure progressive transmission, quiet operation, and great durability. 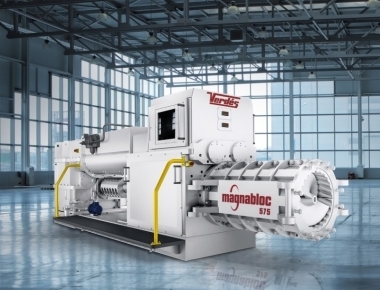 The new Magna reducers are more compact and have been redesigned to accept traditional belt drive operation, with or without clutches, as well as direct drives combined with frequency converters. A further area of innovation for the Magna Series concerns safety and control. A new digital system to protect the thrust bearing using load cells is offered as alternative to the traditional hydraulic system. 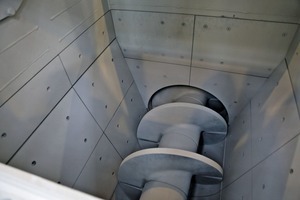 Digital monitoring and detection of the axial pressure is more precise than referring to the plastometer reading. In addition, the axial bearing has been oversized to run at continuously high pressures. 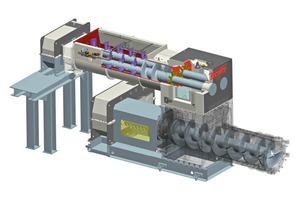 As a result, this is a dependable extruder, which can operate efficiently under the most demanding of conditions. The Magna series continues to offer cylindrical, conical and extra-conical auger configurations, so as to provide solutions suited to the specific working conditions for any product. 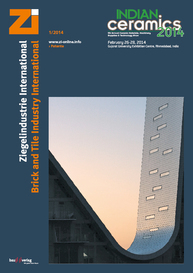 These may include facing bricks, pavers, hollow and perforated products, or any block format. All the Verdés range of vacuum extruders include high-wear-resistance augers manufactured using a high-chromium alloy, as well as more specialized solutions that include highly efficient chromium and tungsten carbide coatings. All parts in contact with the raw materials are protected using wear-resistant and interchangeable components. 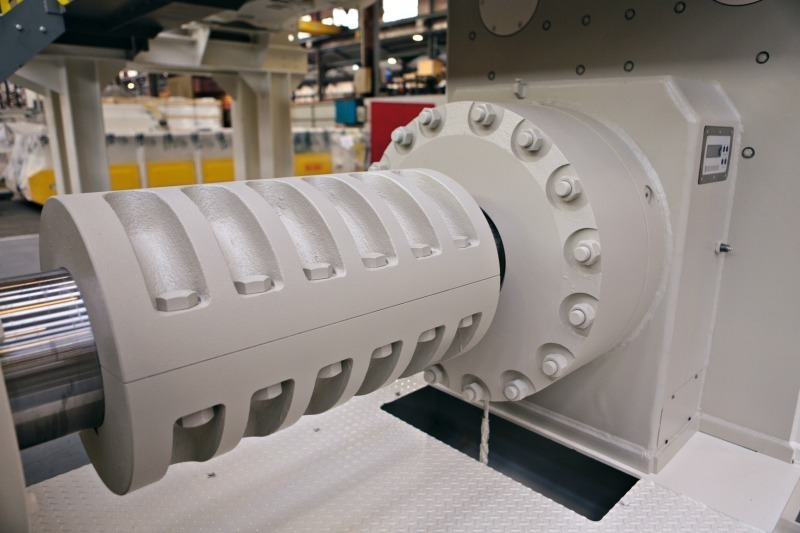 A further innovation within the auger barrel allows the fixing of linings without the use of through bolts. This ensures sealing and prevents any air leakages, which improves vacuum performance. 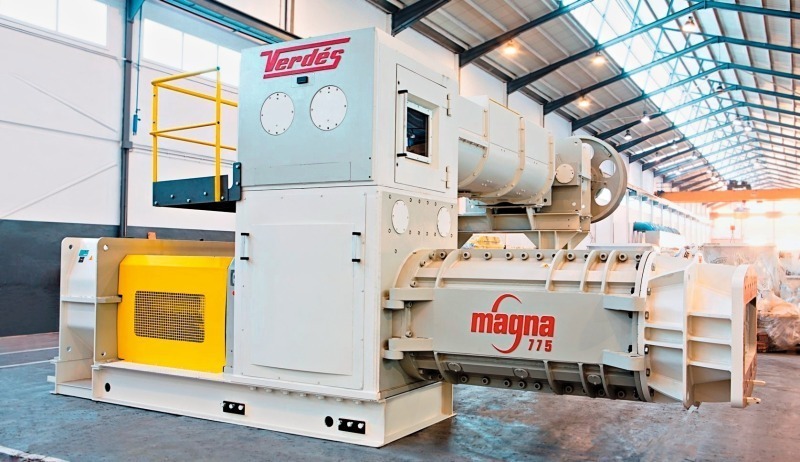 With numerous innovations, the Magna series is one step forward in the Verdés concept of adaptable, efficient extrusion, which makes maintenance tasks simple and rapid. And above all guarantees full operation under any conditions. Verdés responds to a market which has evolved rapidly over recent years, moving towards installations with higher capacities and a higher number of operating hours. In conclusion, the Spanish plant engineering company maintains its commitment for proximity and understanding of the necessities of their customers, both old and new, and continues to make substantial investments to quickly, flexibly and effectively meet customers’ needs. In this respect, Verdés operates warehouses in various countries and locations to provide local technical assistance and spare parts, offering also tailored service programmes addressed to specific country and customer requirements.